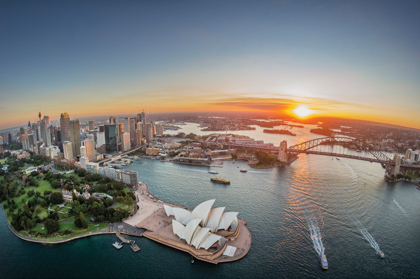 The 8th Annual Scientific Meeting of the Australia and New Zealand Child Neurology Society will be held at the Sydney Children’s Hospital, Randwick. We warmly welcome you to this year’s annual scientific meeting. The Hotel offers 209 modern, well-appointed rooms, deluxe bedding and premium amenities to ensure an enjoyable stay at this beach side location. Take advantage of their premium facilities, acclaimed onsite restaurants and bars, fully equipped gym, heated pool, tennis court, meeting rooms and business centre. Rooms have been reserved for registrants at a special group rate of $219. Rate quoted is per room per night (unless otherwise indicated), using existing bedding, includes GST and does not include breakfast. The breakfast rate in Blue Salt Restaurant is $32.00 per person. Concession Day Registrations, Medical Students and non member Medical Trainees - please scan/email (pdf) a letter of evidence written and signed by your Head of Department confirming your current training position to ANZCNS. Your registration will not be processed until this letter has been received. Alterations or cancellations to your registration and/or accommodation bookings will not be accepted over the telephone. Alterations must be requested via email to anzcns_asm@seedevents.com.au. Notice of cancellation received in writing on or before 5th August 2019 will be charged an administration fee of $33.00 and this will be deducted from your total registration/accommodation payment before a refund is issued. Notice of cancellation received in writing on or after 6th August 2019 but before close of business on 21st August 2019 will be charged an administration fee of $110.00 and this will be deducted from your total registration/accommodation payment before a refund is issued. Cancellations received in writing on or after 22nd August 2019 will not be refundable, however substitute delegate attendance is allowed.